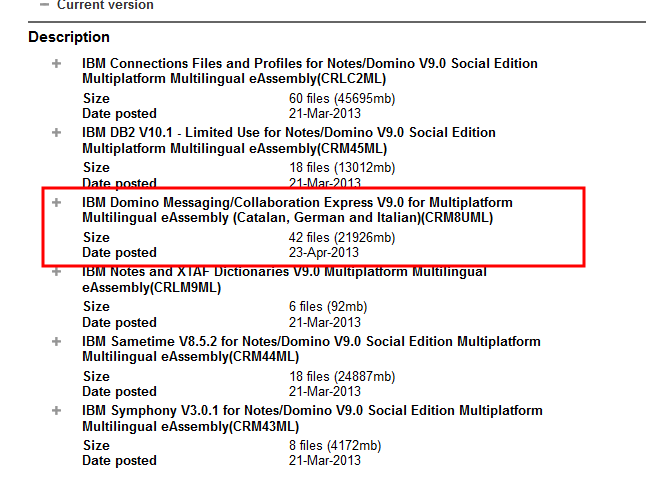 Everything about IT: Notes Domino 9 group 1 language versions are availabe now. Notes Domino 9 group 1 language versions are availabe now. The first national language versions (Group 1) for example Catalan, Italian and German of Notes Domino 9 are available in passport advantage now. So there is no more reason to postpone your upgrade to the greatest version of Notes/Domino.